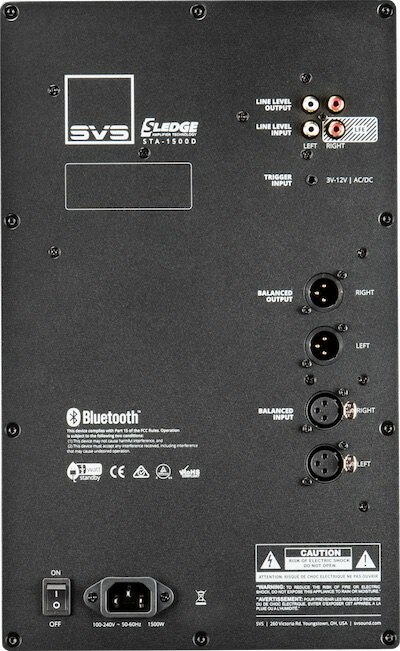 SVS announced their new flagship 16-Ultra Series home theater subwoofers comprised of the sealed box SB16-Ultra and ported box PB16-Ultra. Each offers mammoth 16-inch driver with unprecedented 8-inch edge wound voice coil, 1,500 watts continuous, 5,000+ watts peak amplifier with fully discrete MOSFET output, and a new smartphone app for convenient subwoofer DSP and control. These advancements combined with an all new driver, amplifier and cabinet empower the 16-Ultra Series “to produce the finest low frequency output, deep bass extension, frequency response accuracy and pinpoint transient response the world has to offer,” SVS claims. The new 16-Ultra series succeeds the prior top-of-the-line 13-Ultra series, which now looks like a bargain at $400 or $500 less. However, the cylinder style hallmark of SVS was not announced for the new 16-Ultra line. Maybe it’s due out later or dropped? Perhaps a 16-inch cylinder sub would just be too big? 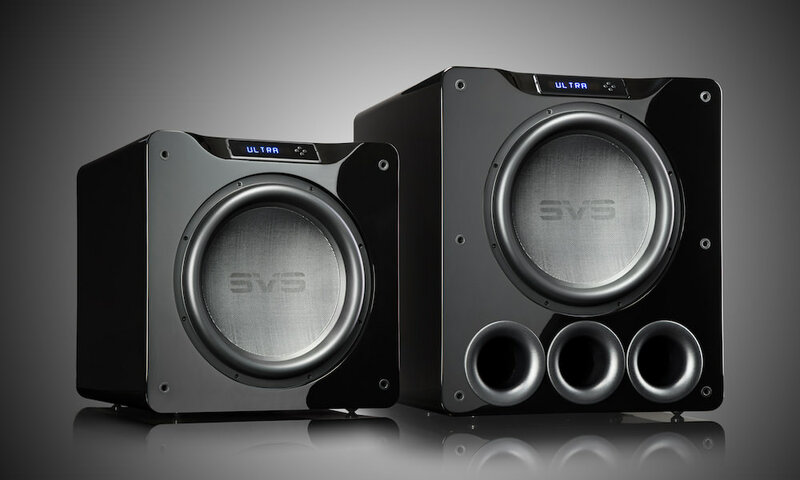 The SVS Ultra 16-inch driver features a record 8-inch edge wound voice coil, the largest ever deployed in a consumer subwoofer. The massive voice coil girth allows the amplifier to exert complete control over the 16-inch driver and remain accurate and distortion-free with pinpoint speed in transients, even at reference playback levels. Four of the heaviest toroidal ferrite magnets ever used in a subwoofer generate unprecedented levels of magnetic force and machined motor elements produce astounding levels of low frequency output. The cone material consists of a premium fiberglass resin composite that moves extreme amounts of air and sonic energy without ever flexing or losing control. Pushing the driver and motor assembly with effortless power is a conservatively rated 1,500 watts continuous, 5,000+ watts peak power Sledge STA-1500D amplifier with fully discrete MOSFET output. Discrete MOSFET output unbridles the nearly limitless power in the Sledge amplifier and pushes the 16” driver to extreme levels of performance. They also represent an upgrade over the less robust integrated circuit output stages found in nearly all other Class D subwoofer amplifiers. Harnessing the nearly limitless power is a 50 MHz Analog Devices Audio DSP with 56bit filtering. 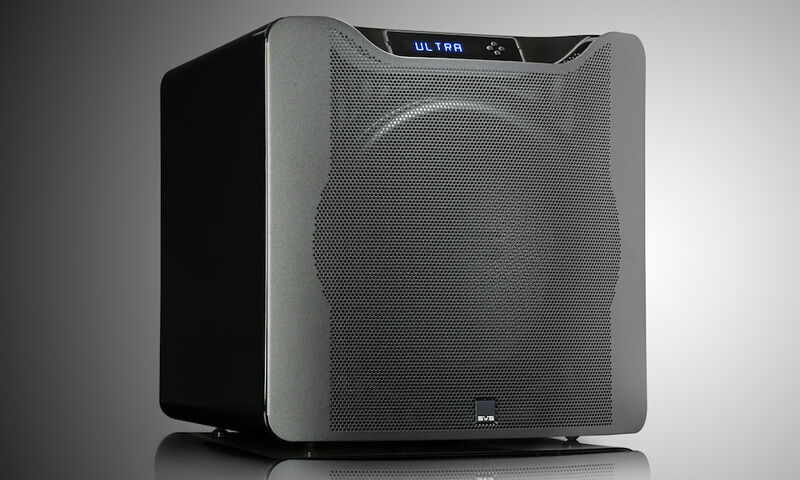 This advanced DSP is the most sophisticated processing engine ever used in a consumer subwoofer and gives the 16-Ultra subwoofer’s refined behavior and pristine output, while enabling precise tuning so the perfect amount of low frequency energy is unleashed at just the right time and just the right frequency. Another pioneering advancement is the new subwoofer control and bass management smartphone app for Apple and Android devices. The powerful 16-Ultra app controls polarity, room gain, phase alignment, parametric EQ and other DSP functions, and conveniently stores custom presets. It’s the easiest way to fine tune bass down to 16Hz and below from any seat in the house. For added convenience, bi-directional feedback shows updates in real time on both the app and subwoofer interface and Bluetooth connectivity allows adjustments to be made when subwoofer is not in sight. Control is also available via IR remote and a front panel display. A subwoofer capable of creating such extreme levels of sonic energy requires a formidable cabinet design so the 16-Ultra Series is built with a double thick MDF front baffle and rigid internal bracing to support the drive unit and to ensure an acoustically inert environment. The highly reinforced internal design eliminates any chance of coloration or resonance from the cabinet, even when the deepest low frequencies are played at reference sound pressure levels. The 16-Ultra Series will start shipping on November 1, 2016. Both models are available in a premium black oak or piano gloss black finish and come standard with a protective, non-resonant steel mesh grille.